The story of Cain and Abel in Genesis 4 reveals a lot to us about sin and the depths to which it sinks the human heart. Brother murders brother – even today such a headline would grab the attention of a society super saturated with information. We tend to read this account and let our focus settle on the horrific nature of what Cain did. It strikes our sense of propriety and rightness when we consider the killing and, even more, when we read of how Cain answered the Lord – “Am I my brother’s keeper?” – after he was confronted about Abel. It is so easy for us to draw conclusions: Cain was a bad man and did not belong in the presence of God. “And Abel, he also brought of the firstlings of his flock and of the fat thereof. And the LORD had respect unto Abel and to his offering” (Genesis 4:2). “By faith Abel offered unto God a more excellent sacrifice than Cain, by which he obtained witness that he was righteous, God testifying of his gifts: and by it he being dead yet speaketh” (Hebrews 11:4). Why was Abel’s sacrifice considered excellent and acceptable? Because he brought the blood of a lamb. Cain’s offering consisted of things he had toiled to produce as a tiller of the ground. Perhaps, he thought his self-effort in hard work would amount to something in the economy of God. When he discovered that it did not, Cain grew angry and took out his bitterness on Abel. The lamb of Abel pointed to the Lamb of God, Jesus Christ who would be slain to take away the sins of the world. The picture of bloodshed for the covering of sin comes to us almost immediately after the Fall of Adam and Eve described in Genesis 3 — God made coats of skins to cover them (see Genesis 3:21). Animals, named by Adam himself, lost their lives so coats could hide the nakedness of the man and the woman, a nakedness they were now so aware of. This principle of blood offering comes into sharper focus in Exodus and Leviticus. Moses was instructed by the Lord to build the Ark of the Covenant topped with the Mercy Seat. This piece of furniture sat at the center of the Tabernacle, situated behind a thick veil that obscured the way into the Holy of Holies. Once a year, on the Day of Atonement, the high priest of Israel was to bring blood into this holy place and sprinkle it upon the Mercy Seat for the sins of the people. The book of Hebrews ties these things together for us by defining Jesus Christ as our eternal High Priest who entered into the Holy of Holies in heaven with His own Blood (see Hebrews 9:7-22). He did this once for all (Hebrews 10:10). The gospel reports of the veil torn in the Jerusalem Temple on crucifixion day give validation to the finished work of Christ’s offering. Christ, with His death at Calvary, ripped through the barrier separating us from the Holy God; the way to the presence of the Lord was made open — once and for all. Abel did well in that he brought the blood of a lamb from his flock, but this blood was not sufficient to cover him from the wrath that abided upon man. 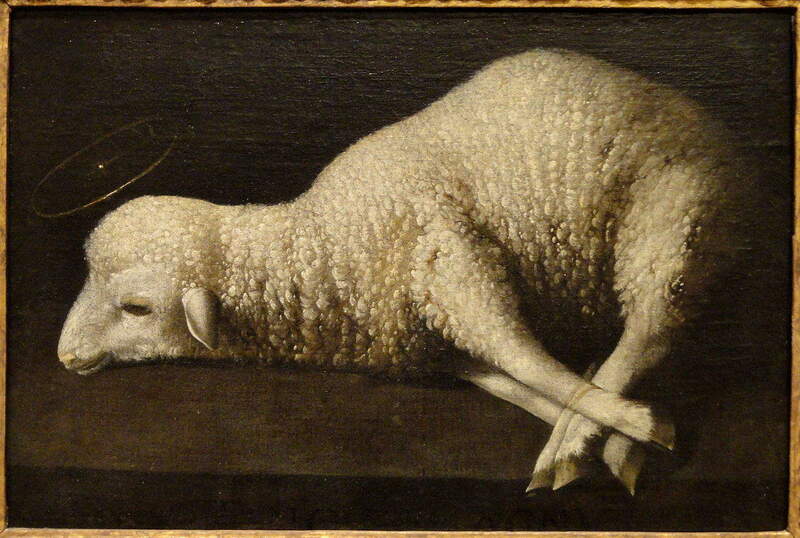 He knew this and was faithful to bring his slain lamb to God. It is difficult for us to comprehend that Abel, too, was a man in need of a sin offering. This is because we fail to classify things the right way. Any violation of God’s order is sin. Adam and Eve ate, that’s it; and the curse of death came upon humanity. In Numbers 15, the congregation was commanded to stone a man to death for collecting sticks on the Sabbath. This would seem to us with so-called civilized orientations as cruel and unusual punishment. Who are we to analyze the laws of the Holy One? He is perfect in all of His ways. Abel presented the blood, but like all men and women he needed a greater Voice to speak for him against his sins. This reality is also brought out in Hebrews: “And to Jesus the mediator of the new covenant, and to the blood of sprinkling, that speaketh better things than that of Abel” (Hebrews 12:24). The blood of Abel shed by Cain spoke from the ground to God in a cry for justice. The Lord answered that cry – and every last cry for justice – by coming all the way to us to be “the” offering for sin. The Son took on flesh and bone and became a man in order to die for all men. The Blood of Christ speaks for us. Satan, the accuser of the brethren, can say what he wants; and let’s face facts — what he says about us is real and true as it relates to our failures and faults. We are sinners in need of mercy and grace. Praise God that Christ, our Lamb, made a new and living way for us. Redemption and reconciliation have been accomplished. We are welcome in the presence of God. Our Redeemer lives and ever intercedes for us as the One who knows us and lived as us and died for us. This is the great message of the Gospel. For more about Christ as our Redeemer and Lamb, check out “The Great Answer for Sin,” a message preached by Thomas Schaller, pastor of Greater Grace Church in Baltimore.